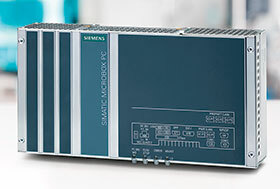 With its Simatic PDM Maintenance Station V2.0, Siemens provides the ideal solution for efficient monitoring of intelligent field device statuses independently of the automation and control system used. Their integration is based on DD (Device Description)/EDD (Electronic Device Description) technology. Diagnostic, parameterisation and status data from the field devices is read out cyclically and depicted in a clearly arranged format. The collected data can also be transferred using an export function for further processing in enterprise asset management or cloud-based condition monitoring systems. Version 2.0 has been further developed to comply with Namur recommendations NE 105, NE 107 and NE 129. The Simatic Process Device Manager forms the basis for data and status monitoring of smart field devices in the maintenance station. Simatic PDM is a universal, manufacturer-neutral tool used for project engineering, parameterisation, commissioning and monitoring of intelligent field devices and field components. It supplies diagnostic data, status data and parameter data to the Simatic PDM Maintenance Station, where the information is processed and supplemented by functionalities such as overview or work progress lists, overview, segment and detailed images, status logs, parameter data archiving, global and device-specific message lists as well as cyclical functions for reading out or exporting field device information. The maintenance and servicing system is designed for use by small to medium-sized enterprises or production plants used for processes such as hybrid or biogas, wastewater treatment, painting lines in the automotive industry or paper manufacturing. The Simatic PMD Maintenance Station can also be used in specific plant sections. Version 2.0 of the Simatic PDM Maintenance Station can be used wherever intelligent field devices are in operation. The system is optimised for up to 500 field devices, and it is also possible to combine several Simatic PDM Maintenance Stations within one plant. In production plants with Simatic automation stations, the Simatic PDM Maintenance Station is directly connected to the plant bus, and so communicates over the automation stations with the field devices of the lower-level field bus systems. In addition, a separate network can be created to the field devices if direct access is not possible. The compact Simatic PDM Maintenance Station is flexible and offers scope for expansion. It can even be used several times over within a single project for different tasks, for instance as a diagnostic station for sub-plants or a data collector for selected field devices. Used as a data collector, the Simatic PDM Maintenance Station enables the cyclical capture and transmission of identity, event and parameter data to the relevant data evaluation systems. In its recommendation NE 107, Namur has defined four status signals to be used on a standardised basis for all field devices: device failure, maintenance required, out of specification and function check. This enables identical status visualisation for all field devices based on what is known as the device description package DD/EDD, irrespective of type or manufacturer. The Simatic PDM Maintenance Station captures the diagnostic statuses and condition data of field devices implemented by the device manufacturer and described in DD/EDD. The maintenance station automatically reads this information from the field devices on a cyclical basis and where applicable signals any maintenance-related requirement, request or alarm on the basis of the NE 107, ensuring that service personnel are immediately informed and able to act or react promptly. The Simatic PDM Maintenance Station requires only simple, low-cost engineering. Network structures and field devices can be simply adopted from existing projects. The basic package comprises a pre-installed industrial PC (Microbox IPC 427E), alongside a software recovery package. The Simatic PDM Maintenance Station can be optionally adapted within the quantity structure to the field devices to be monitored, and extended to include the server/client functionality of Simatic PDM.